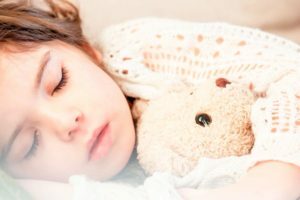 During summertime, a difficulty that parents face is often related to keeping their child within a consistent sleep schedule. The days are longer, meaning the sun will be your worse enemy during bedtime and wake time. Without the routined days of going to school and various distractions and vacations, it adds a sense of anxiety and craving to play even more, making children want to not sleep when they are supposed to, affecting their daily routines. In a short-term perspective, this might not seem like a big deal, but it can have negative long-term effects. If children are not getting enough sleep, this could lead to interference in child’s functioning, development, growth, mood, and performance. What are some things parents can do? Implement a strict, consistent sleep schedule so kids are guaranteed to obtain enough sleep. Since the sun stays up longer than usual, by your child’s normal bedtime it may seem that it’s still light outside. One easy solution would be investing into blackout shades for the child’s bedroom. If your child sleeps too much, let them sleep in until a reasonable time. This will help them adapt better to their school schedule once school starts again. Waking them up by 9:00 am or 10:00 am is a great time, and if they are still having a difficult time getting up in the morning, use incentives. Try signing them up for morning activities such as Summer Camps. About 3 weeks before school start, adapt them back to a sleep schedule for school. Summertime is a long time and new habits are picked up along the way. To ensure the optimization of your child’s development and success in the school environment, a good idea will be to adapt them earlier to the school schedule before it even starts. That way the transition from summer to school time will be a smooth one. Looking for an excellent Summer Camp Program? Legacy Academy Frisco has a great program for children ages from 6 to 12 years of age.